Pearl Drop Earring, White 11mm Pearls Beaten Silver Shield Designer Drop Tube – 48mm. A truly lovely pearl in this round 10 -11mm white. With a flirty gentle swing, these are, all genuine quality sterling silver. Great for any occasion this earring illuminates the face and good bone structure. 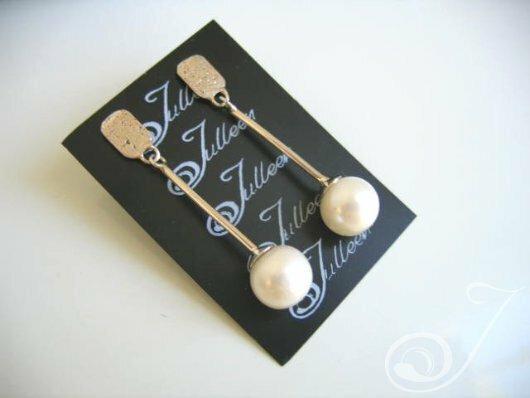 A real favourite for those who like a silver earring but love a touch of pearl.